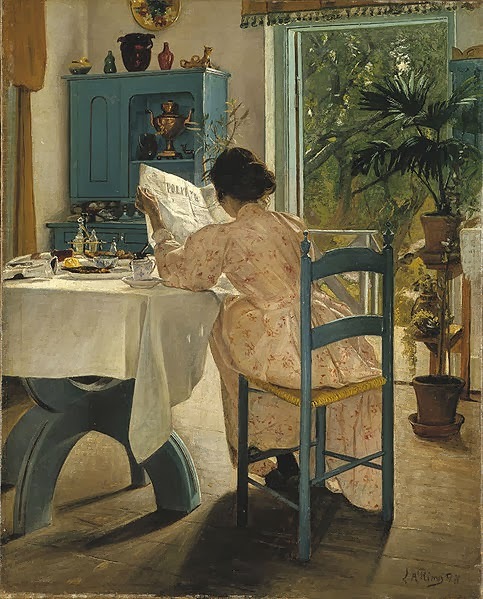 Our Breakfast Links are served up fresh for you – this week's fav links to other blogs, web sites, images, and articles, all gathered from around the Twitterverse. • Women as jockeys in horse races on public race courses, 1804. • The beautiful, eccentric world of Snowshill Manor. • A stunningly beautiful handbag from 14th c. Mosul. • A personality quiz: how would you have died in Victorian England? • Lost portrait of Bonnie Prince Charlie found in Scotland. • Changing standards in gender and class: Blanche DuBois is as old as Jess from The New Girl. • All for love: an example of 18th c. marriage defiance. • One of the "Traitor Peers", 1919: the last Viscount Taaffe. • The best way to beat the winter chill: hot chocolate with orange blossoms à la Marie Antoinette. • "Oh how I would squeeze my juice in thee...": fabulously frisky & filthy 18th c. song. • London's infamous oyster-eater, a tale worthy of Dickens. • Image: A herald's tunic, dated after 1578, possibly worn by Filips Borluut at Ghent in 1600. • Eighteenth & nineteenth century fight club: the beginnings of British boxing. • "You must be satisfied with just one glance": an unusual 15th c. love token. • Old maids & old bachelors: an assembly of undateables, 1743. • A Tudor portrait that defies belief: the boy behind the window. • Unusual premodern bookmarks, including a 500-year-old dried leaf. • Image: Workmen basking in the sun during a break in the construction of a new building at Baker Street Station, 1929. • London transportation infographics, 1912-1969. • Wine, Mohawks, & snow: in honor of "Drink More Wine Day" this week, several London streets with unusual names. • Great research on the composition of grog found in ancient Scandinavian graves: delicious bog myrtle & birch tree resin. • Little-known fact: fifty-eight Chinese Americans fought in America's Civil War. • Image: Hey kids: this is how mom and dad used to Google stuff. • Alchemy laboratories, newly spruced up - or they were in the 16th c.
• From the Illustrated London News: the Queen of Oude makes a state visit to Drury Lane Theatre, March, 1857, here and here. • Fanny Murray, "Fair and Reigning Toast" of Georgian England. • Image: Portfolio found in Emperor Napoleon's traveling carriage, taken at the Battle of Leipzig, 18 October 1813. • History truth or myth? Fire screens kept 18th c.women's wax-based makeup from melting on their faces. • Dame Julian of Norwich, 15th c. English mystic, theologian, anchoress, and writer. • Image: Fancy Fair, Hanover Square Rooms, 1833. • "No woman desires a man with rabies": how to impress girls at a dance, 1530. • Image: Female train guard in sensational boots, 1916. Hungry for more? Follow us on Twitter at @2NerdyHistGirls for fresh updates daily. Huzzah! Thanks to all of you, we've just welcomed our 6,000th follower on Twitter this week! THANKS LADIES! Kudos on your success and my gratitude for the kind mention of the eccentric Mr Wade and Snowshill Manor! Thanks for some good entertainment!